The availability of four different hard drive modes (Standard, JBOD, RAID 0, and RAID 1) allows you to choose the configuration best suited for your needs. Standard mode creates two separately accessible hard drives. Summary: This NAS was very easy to set up right out of the box. It is very compact and quiet. The price was very good for all of the features. Summary: I have two LaCie NAS drives and this Dlink DNS-321 NAS hooked up to my network currently and this is by far my favorite because of its flexibility and its speed. It is way faster than either LaCie drives I have and tests very well compared to other NAS drives on sites such as Small Net Builder (a little faster than its DNS-323 sibling overall too). 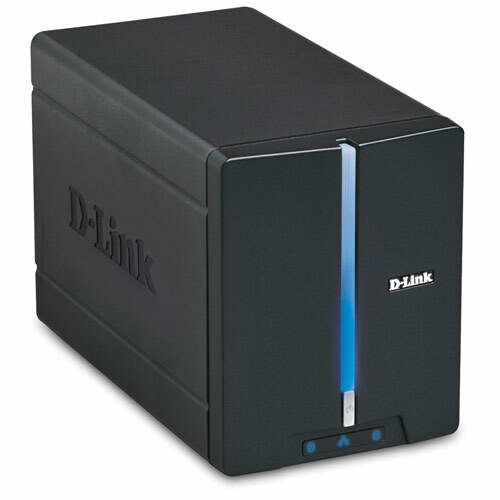 Don’t get me wrong, there is still room for improvement with its speed as I have an old computer with Ubuntu server running as a network file server and its gig ports blow even this Dlink away, but compared to other reasonably priced consumer NAS drives this is great.